Moscow’s Spartak Stadium is set to host five 2018 FIFA World Cup games between June 18 and July 3. Since Moscow is the only one of Russia’s 2018 FIFA World Cup cities with two hosting stadiums, we’ve put together an essential guide to Spartak Stadium, to help you make the most of your football experience. 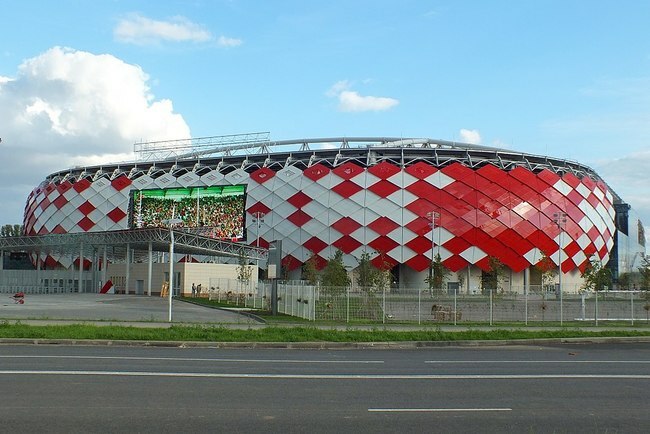 Also known as Otkritie Arena, this 45,360-capacity stadium opened in September 2014 with a game between FC Spartak Moscow and Red Star Belgrade. It was one of the four stadiums to host the 2017 FIFA Confederations Cup, together with Kazan Arena, St. Petersburg’s Krestovsky Stadium and Fisht Stadium in Sochi. Apart from being home to FC Spartak Moscow and playing host to football games, Spartak Stadium is used as a concert venue for major events such as Park Live Festival. Although the stadium is located somewhat on the outskirts of Moscow, there are lots of transport options to help you get there, and most of them are set to be free for FAN ID-holders during the 2018 FIFA World Cup. If you’ve already bought tickets and applied for your FAN ID, you’re entitled to free rides on ground transport (excluding marshrutkas and taxis), as well as Moscow’s Metro, Central Circle, Aeroexpress trains and commuter trains in Moscow and the Moscow region. Moscow Metro is a surefire option if you don’t want to get stuck in the city’s notorious traffic. 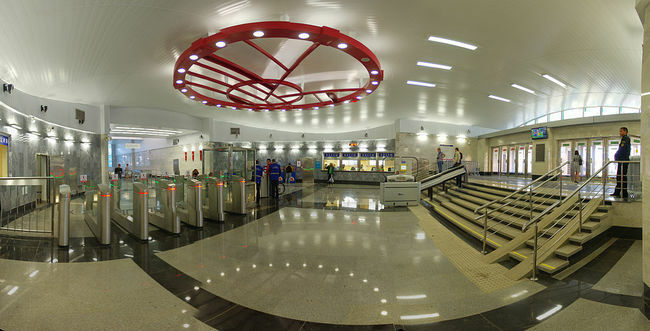 Spartak Stadium is a five-minute walk from Spartak Metro Station and a ten-minute walk from Tushinskaya Metro Station. There are also 31 different bus routes as well as 14 routed taxis that stop at the Tushinskaya Metro Station. Moscow offers a cornucopia of choices when it comes to attractions: the closer you get to the city center, the more options you have. However, there are still things to do near Spartak Stadium if you have a couple of hours to kill before the game. Taking a walk along the Moscow Canal is a great way to explore the city’s Soviet legacy, with the canal’s water sluice number 8 only a short walk from the stadium. If you’re looking for a breath of fresh air, you can escape the city noise at Severnoye Tushino, a 54-hectare park divided into five themed zones. 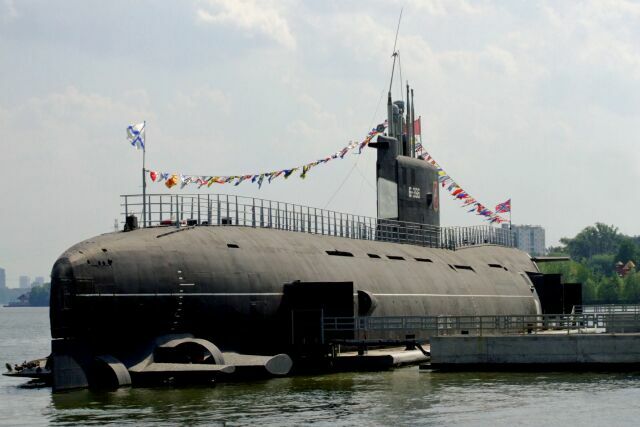 The educational zone is home to the Museum of Submarine Navy, located in a dry-docked Tango-class submarine B-396. There are over 2,000 restaurants in Moscow offering all kinds of food for every budget. If hunger strikes while you’re in Severnoye Tushino Park, be sure to stop at Robin Bo – a cosy family café with a lovely summer terrace. Take a five-minute walk from the park and you’ll find yourself at Ritorno Restaurant, a welcoming spot that serves European and Japanese food. For those craving Chinese cuisine, there’s KNR Restaurant, which is the closest to the stadium. Watering holes a stumbling distance away from the stadium may be hard to find, so your best bet is to head towards nearby Svobody Street. Around here, there are several bars and pubs and places to grab food. Craft pub 69 Pints is a good choice if you want to try some locally made brews and international beers in a lively venue. Now a chain with three locations around Moscow, 69 Pints began at this location. Across the Moscow Canal is Beertep, another craft beer pub. Here, you can taste a selection of beers from some of the breweries that are leading Russia’s current craft beer wave. Dasha Fomina also contributed to this article.